Bug-a-Palüza returns to Camp Jordan April 27-28, 2019! Join us on Facebook for the latest updates and announcements. With 39 show classes, there is one for every model of Volkswagen (air-cooled and water-cooled). 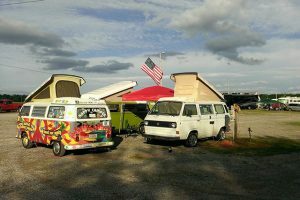 Bug-a-Palüza has one of the largest VW swap meets in the Southeast. 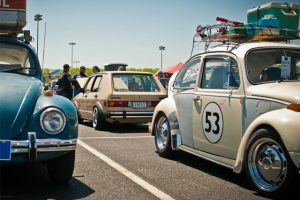 Our vendor alley is full of new and used parts, along with VW themed jewelry, clothing, and accessories. 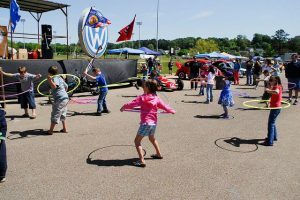 You won’t want to miss one of the largest VW campouts around. The RV lot at Camp Jordan can accommodate any size camper. Our emcee Dr. FieldingGood will be hosting contests and games all weekend long, with plenty of prizes and giveaways for all ages. 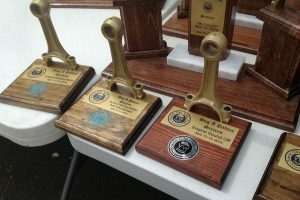 We have the most unique awards of any VW show, with a real connecting rod! Trophies awarded to 1st, 2nd, and 3rd place in each class, along with specialty awards and best of show trophies. 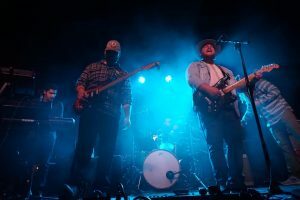 Enjoy live music from The Stephen Busie Band Saturday night at the campground pavilion! $5 per person for all weekend access, children 12 and under free. All gate proceeds benefit Ronald McDonald House Charities of Greater Chattanooga. Arm bands must be purchased at the gate. $20 per car, pre-registered or at the gate. Includes entry to the show for two people. First 300 registered show cars will receive a goody bag. A non-judged entry is available for $10, this does not include entry to the show. All vehicles on the show grounds (judged or non-judged) must be pre-registered and display their hang tag. No day-of registrations will be permitted. Cars will be parked in the order that they arrive. If you wish to reserve spaces for your club or group, you may do so in the lot to the right of the stage. No other saving of spots is allowed, this will ensure that everyone who arrives will have space to park. Judging is ongoing both Saturday and Sunday. If you need to leave the show before the end of the day and your car has not been judged yet, please notify someone at the registration desk and they will make sure the judges get to your car before you leave. Winners will be announced at the awards ceremony at 3:00 PM on Sunday. You do not need to be present to win, however if you can’t attend the ceremony, please make arrangements with a friend to pick up your trophy on your behalf. $20 per 10’x20′ space (one parking lot length). Multiple consecutive spaces can be purchased to accommodate larger vendors. Each vendor registration includes entry to the show for two people. All vendors must be pre-registered, there will be no extra space the day of the show. $5 per person for the weekend to camp in the RV lot. Arm bands must be purchased at the campground entrance. Power and water hookups will be limited. 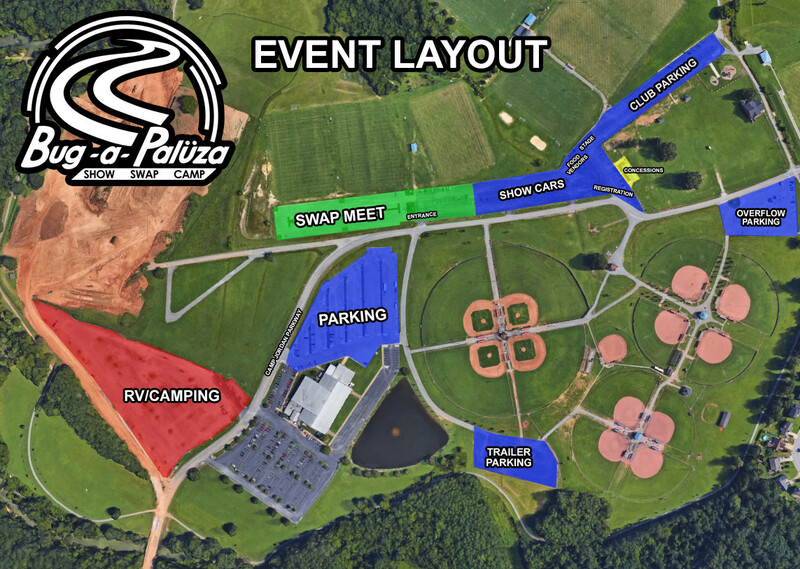 Campers wishing to set up before Friday must contact East Ridge Parks and Rec directly to pay additional camping fees. Pre-registered show cars and vendors may set up starting at noon on Friday, April 26th. Campers in the RV lot may set up any time on Friday. Spectator gates open from 8:00 AM to 5:00 PM on Saturday, April 27th and 8:00 AM to 3:00 PM on Sunday, April 28th. Check-in for show cars opens at 8:00 AM on Saturday. There will be no room for any vehicles that are not pre-registered. Awards ceremony and raffle drawing starts at 3:00 PM on Sunday. 9:00 AM Dr. FieldingGood starts the show! Cars will be parked in the order that you arrive. Club parking will be in the lot to the right of the stage. (No other saving of spots allowed). E-Z UP TENTS AND CANOPIES – Camp Jordan does not allow stakes driven into the asphalt or ball fields. Tents and canopies must be held down with at least 40 lbs. of weight per leg. This is an insurance requirement and will help prevent injury/damage to property due to unpredictable winds. Please bring enough weights for your popup. Improperly weighted tents will be asked to be taken down. 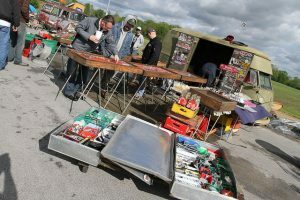 Cars for sale – If you wish to sell your car at Bug-a-Palüza, please register and choose non-judged. You may park it in the show area with a for sale sign, there is no designated area for selling vehicles. No unregistered vehicles permitted on the show lot. All cars must display a hang tag to park. No trailers on the show grounds, they must be loaded and unloaded outside the parking area. Additional parking for trailers and other vehicles is available in the side lot. Any motorized vehicles on the show grounds such as golf carts or scooters, along with bicycles and skateboards, MUST be operated by licensed, insured drivers. We must enforce this to ensure the safety of everyone walking around, as well as to protect everyone’s vehicle on display. See results and photos from past Bug-a-Palüzas.